I have been so lucky to have spent Christmas with my family and to have received such warm, heartfelt messages from so many of my clients, friends and colleagues over this time. The year has absolutely flown by and it really only feels like yesterday that we were seeing in the start of 2015. I am sure that the reason the time has gone so quickly is that I have been so busy, have a job that I love, and have met some wonderful people during the year through my work. 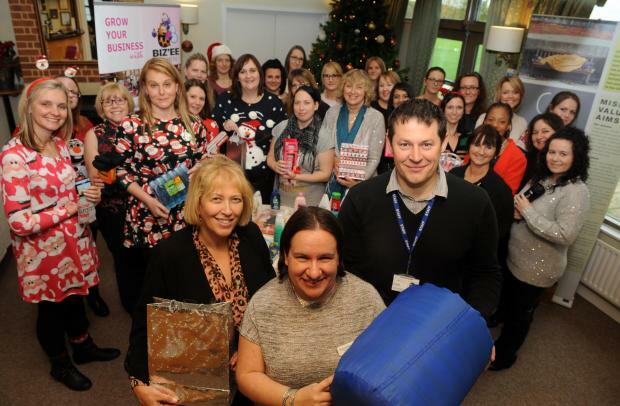 Back in November I attended the Bizee Women Christmas networking event (yes, we did celebrate early) and as well as having a lovely time meeting other business women, we also used the opportunity to donate toiletries and other items for a local charity for the homeless, Chess Chelmsford. Speakers from the charity shared details of their work and stories which demonstrated just how easily people can become homeless through no fault of their own, and the work they are doing to help these people get back on their feet and to be able to support themselves once again. I also supported the #BigKnit campaign, and managed to find some time to knit some mini hats for Age UK Essex; Innocent donate 25p to Age UK for every smoothie bottle with a hat sold to help older people stay healthy during the winter months. During the year, as part of my CPD (Continuous Professional Development), I have attended a number of reflexology related courses including Foot Reading with Chris Stormer, Reflexology Lymph Drainage and training as an instructor for the Childrens Reflexology Programme and have other courses already lined up for 2016. I am looking forward to sharing more on these in my blogs, on Facebook and with my clients in the coming year. I will also continue to share the adventures of my #FridayFeet on my Facebook page so take a look and follow their adventures! Thank you once again to all my clients during 2015 for your continued support and I look forward to seeing you in 2016 and to welcome many new clients.